Apologies for arriving late to discuss what happens when Abraham decides to pour the Bisquick to make the pancakes, but I had the Academy Awards to deal with. 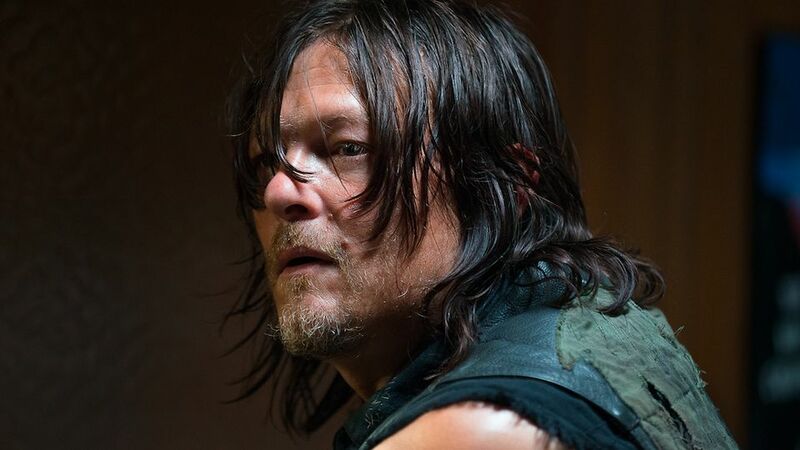 With that out of the way though, we can now put the spotlight back on The Walking Dead, which dealt with a lot of setup this week, along with some no nonsense stuff from Rick and the gang. Jesus may have opened up the world, but there are going to be a few people left in it, after learning what the future plans are for these various communities. It is neat to find the series relying on the comics so much lately. While I happily enjoy the way The Walking Dead moves in and out of exactly what takes place for the sake of keeping things compelling for the comic readers, this is fun. Not to spoil things to heavily for those who haven’t read the comics, but I am mainly referring to Rick’s arrival at Hilltop. I may be jumping ahead a bit, but the idea of Rick essentially covering himself in someone else’s blood anytime he is introduced to a new group of people is starting to become my favorite dark joke of this series. Anyway, backing up a bit, this episode is really about Abraham. Sure, he has had a lack of things to do since Eugene’s secrets were revealed, but I am enjoying the way they are making this conflicted man something of an emotional center for some. We quickly revisit his (possibly romantic?) feelings for Sasha at the beginning of this episode, only to be reminded of his relationship with Rosita along with the pregnancy plans between Glenn and Maggie. It’s a beat that will echo throughout this episode and it’s pretty effective. Meanwhile, getting back to the naked awakening Jesus caused last week, Rick and Michonne are disturbed from their slumber, with everyone quickly realizing they hooked up. Seems awkward, but the show gets points for letting Carl be cool with it, as opposed to dragging out a subplot about a son being mad at his dad for ‘replacing his mom’ or something like that. Regardless, we now get to learn more about Jesus and where he comes from. ‘Knots Untie’ introduces us to another community, the Hilltop, and reminds us of the threat of Negan. Speaking first to Hilltop, following a road trip that had Rick and the gang questioning if Jesus was on the up and up, we now have another community with potential to get burned down at some point. It seems to happen anywhere Rick goes, but at least this time we are starting to get a sense of the world that is developing in the aftermath of a zombie takeover. It is not the best introduction, as we meet Gregory (the great Xander Berkley) and quickly realize what kind of shady leader he is. 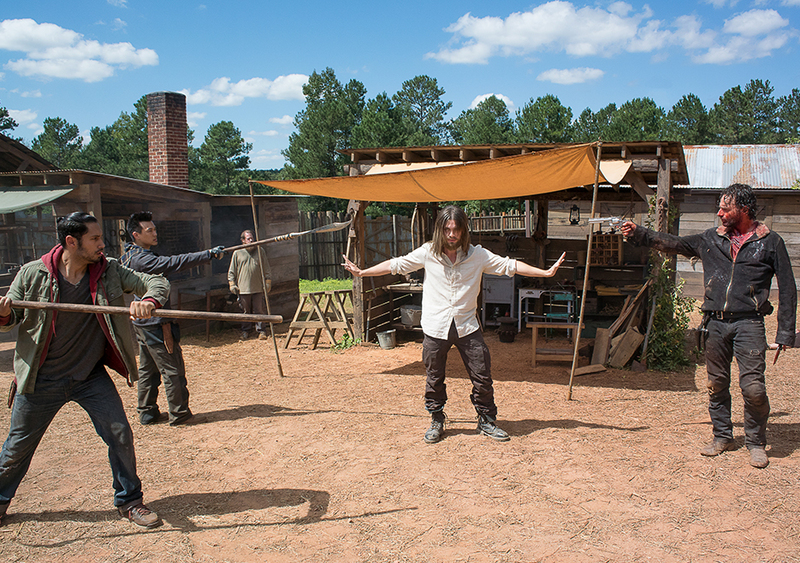 Not before long though, Rick defends Gregory by killing a disgruntled Hilltop resident. The aftermath of this fight sequence is perfect. “What?” Rick snarls this out when other Hilltoppers look at his bloody bodied. He even denies putting down his gun, because what are they going to do with their spears? While Rick has had a change in heart about the Alexandrians, it is great to see that his guard is up and it can actually be fun to see it in action. 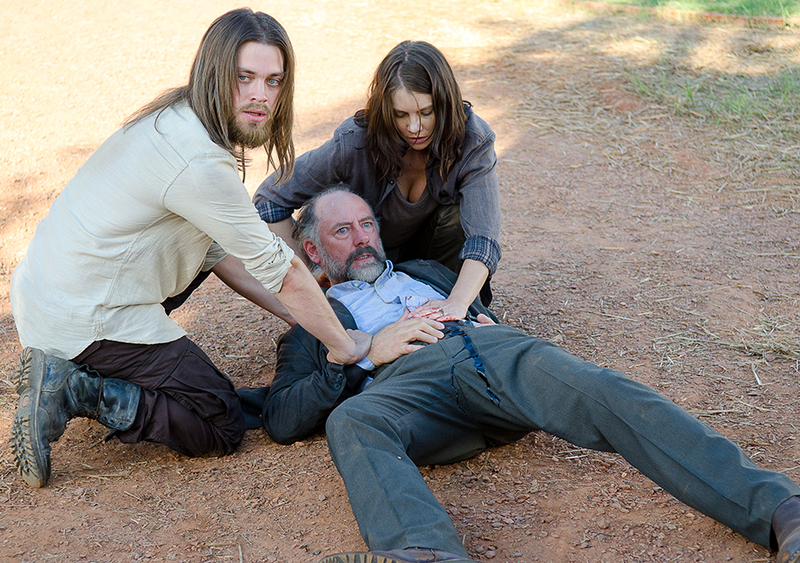 Rick’s handling of Hilltop ends up mattering little though, as Maggie becomes the standout character during this sequence. She barters with Gregory over how these two communities can help each other and it’s good stuff. 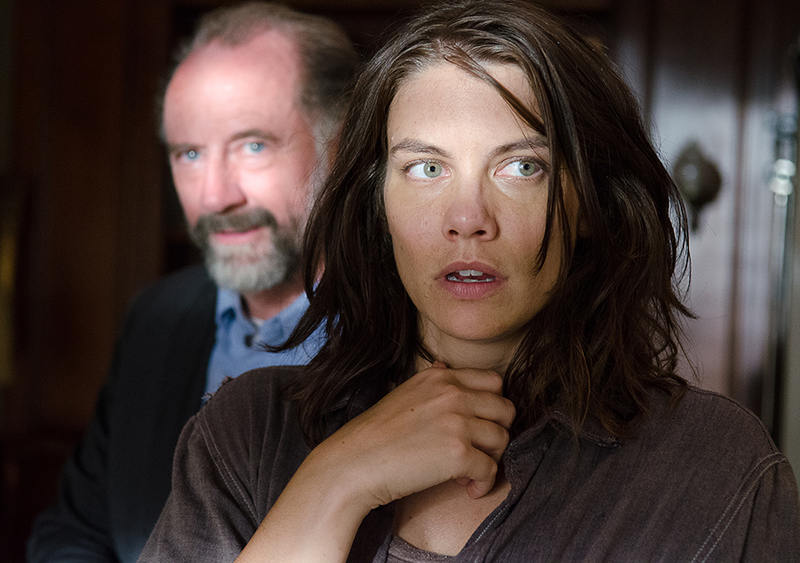 Lauren Cohan gets fine material to work with and Berkley is great playing up the sliminess of his character who also seemingly knows when to say when. 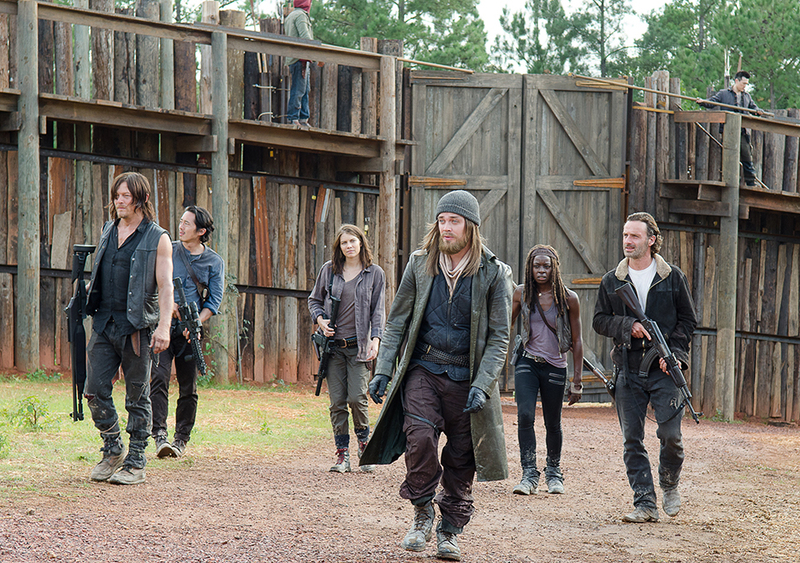 The only problem is how unfamiliar the group is with Negan. It is great to have goals, but the show is likely pumping up the presence of a character not-yet-introduced for a reason. It all comes back to Abraham though, as this episode ends with him having a newfound respect for life. Early on he questioned Glenn (with hilarious metaphors) about having a child in this world. He was later tested by those he would fight against. By the end of the episode, he’s looking at an ultrasound of Glenn and Maggie’s baby. Things may almost be ominous for Abraham in the way he’s finding a way to jump even further on the optimism train, but it is nice to see more glimmers of light shine through in this series for the time being. ‘Knots Untie’ is a fine episode as far as world building is concerned. It lacks the humor of last week, but also holds off on depressing the audiences further. It is as if we are getting the new rules for this world and will soon be seeing them in action in the developing plot lines. I just hope no one cheats. Zombie Kill of the Week: Daryl got in a good knife kill, while rescuing some of the Hilltop residents. I didn’t mention this last week, but glad this show and the fans are beyond caring about Rick and Michonne being in an interracial relationship. There are more important things happening during the zombie apocalypse. Thoughts on Jesus? I love the character in the comics, but so far he’s merely doing alright. Maybe once we start to see scenes featuring his real beard. Gregory is a terrible leader and Xander Berkley is a perfect casting choice. The way Michonne backs up Rick during the Hilltop fight was good stuff. The two of them knock down multiple people flat and have nothing to apologize for.